The students of Mukungu and Rukambasi help with the reforestation. In Mukungu, the sun rises slowly on the hills bordering Tanganyika. 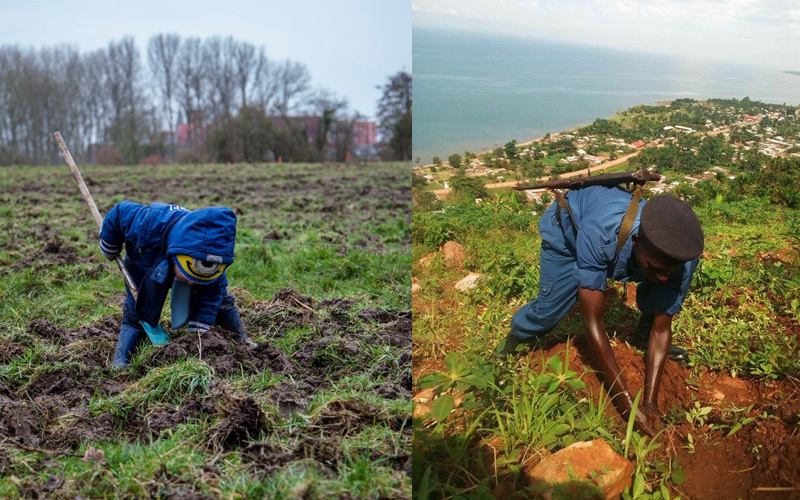 The blue waters of the lake are undulating, awakened by a light morning breeze, while the hustle and bustle has already reached the nursery of the Roots & Shoots Burundi group where volunteers are busy loading the plants into the old white 4×4. The young trees will leave their native lands for less wooded areas and thus ensuring the continuity of the fragmented forests. From now on, their role will be to ensure the survival of chimpanzee communities in the south and northwest of the country. Once well established in Burundian forests, chimpanzees are now difficult to find outside Kibira, Rumonge and Vyanda parks. It is the fragmentation and degradation of forests, associated with hunting and conflicts with human populations, that has caused their decline. It is estimated that there are only 230 to 530 chimps left in the country. To address this problem, the Roots & Shoots Burundi group has already planted more than 2.4 million trees since its inception in 2006. Eleven nurseries provide the seedlings needed for reforestation activities, five of which have been founded with financial support from JGI Belgium. Whether they are children, members of local authorities, the army, the Church or ordinary citizens, they all participate in the planting days. Thanks to them, the hills are reforested and the population is made aware of environmental problems. But that’s not all, the Roots & Shoots group in Burundi also support local populations by giving them access to education and providing them with additional income in exchange for their help. According to David Ninteretse, project coordinator, the creation of groups trained to monitor poachers in the south of the country has already significantly reduced illegal chimpanzee hunting in the region. In Mukungu, the blue waters of Tanganyika are still gently undulating, perfectly camouflaging the sad reality of the lake bottom where the influx of sand and mud, resulting from the deforestation of the surrounding hills, is gradually reducing the extraordinary biodiversity of before. Today, Tanganiyka is considered to be the most threatened lake in the world, mainly due to deforestation, fishing and accelerated warming of the water. From our side, the “Forest in One Day” events not only raise funds for reforestation in Burundi, but also provide an opportunity to raise awareness of the very current issue of deforestation. It is a time when people can reflect on the issue on a large scale and where everyone understands that they can make a difference. Some of our volunteers have decided to join the JGI Belgium team after participating in one of these activities. This is the case of Stefanie, member of the guardian team, who started as a JGI volunteer in 2016: “It was my Italian penpal who told me about the event. She came to Belgium that weekend and planned to attend Forest in One Day with a friend. So she asked me to come along. At the venue, a volunteer gave me more information about the project and I decided to join the team. The sun sets on Mukungu where the aisles of the JGI nursery now have fewer trees. In Belgium, hands warm up around a hot bowl of soup and smiles widen after a day of planting. 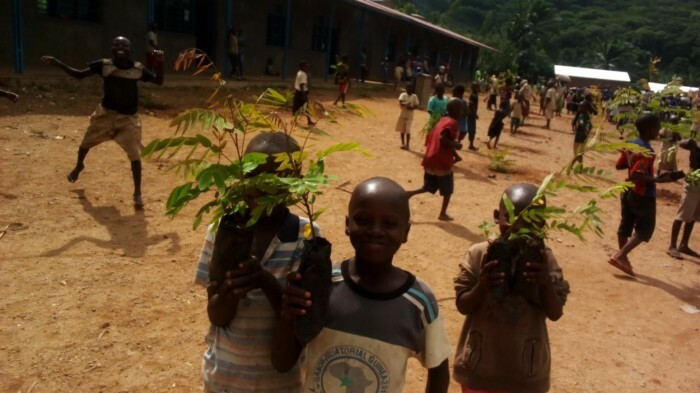 Everybody, Belgians and Burundians, hopes that the young trees will adapt to their new environment and therefore contribute to the conservation of our planet.